The NOVA+ Alpin features a display comprising two elements: a scale divided into twelve segments and an hour hand. It intentionally dispenses with any further subdivisions. While the hour hand inches its way across the dial, at a speed not perceptible to the human eye, it uses the twelve segments one by one to give a graphic indication of the current hour. Like an hourglass, the NOVA+ Alpin from Botta-Design presents the passing of a defined period of time – in this case one hour – rather than the many small intervals that happen in the meantime. The minimized form of displaying the time in the NOVA+ Alpin means that it is simply not possible to tell the time to the precise minute. 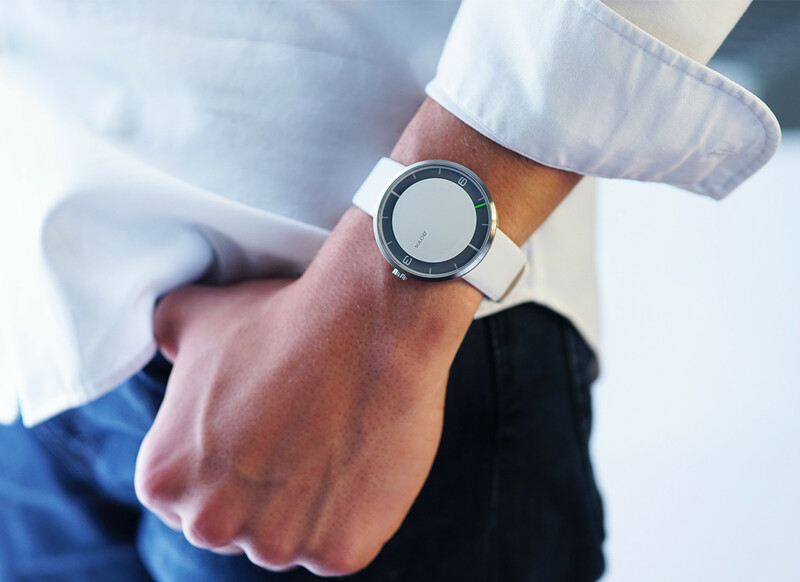 As such, this watch is clearly not the right choice for precision fanatics and those who like to keep track of every second – but is definitely a good option for people ready to adopt a relaxed attitude to time. 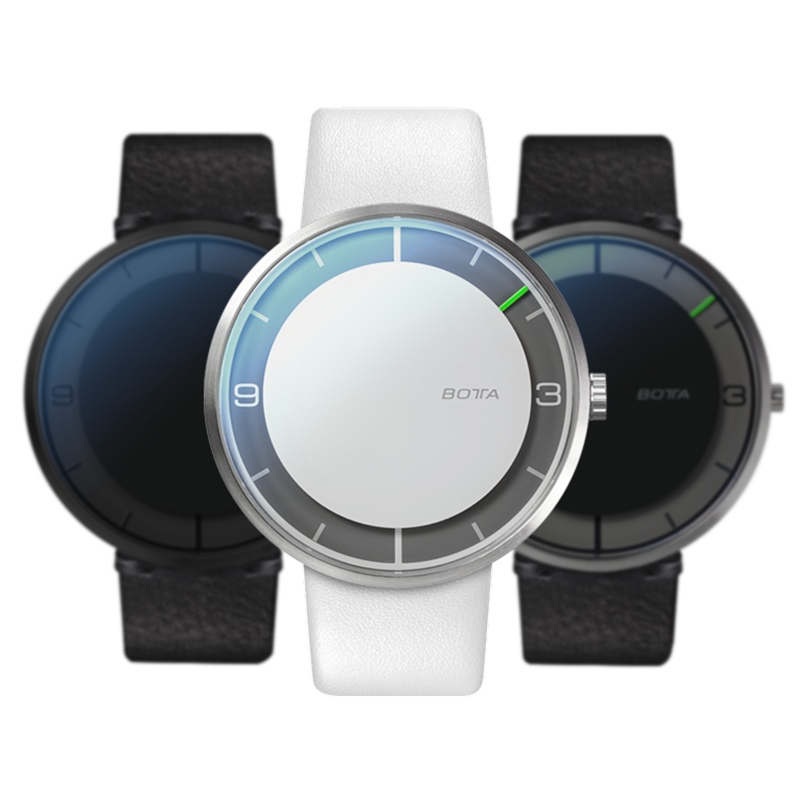 The NOVA+ Alpin enables its wearer to think in periods of time again rather than always chasing the minutes and seconds. A clear explanation of the one-hand watchprinciple can be found here. The NOVA+ Alpin case comprises a perfect cylinder in which the strap lags are concealed beneath the dial to save space. Despite its considerable diameter of 44 mm, the NOVA+ Alpin can therefore also be worn on relatively slim wrists. Is the NOVA+ ALPIN Automatic the right watch for me? 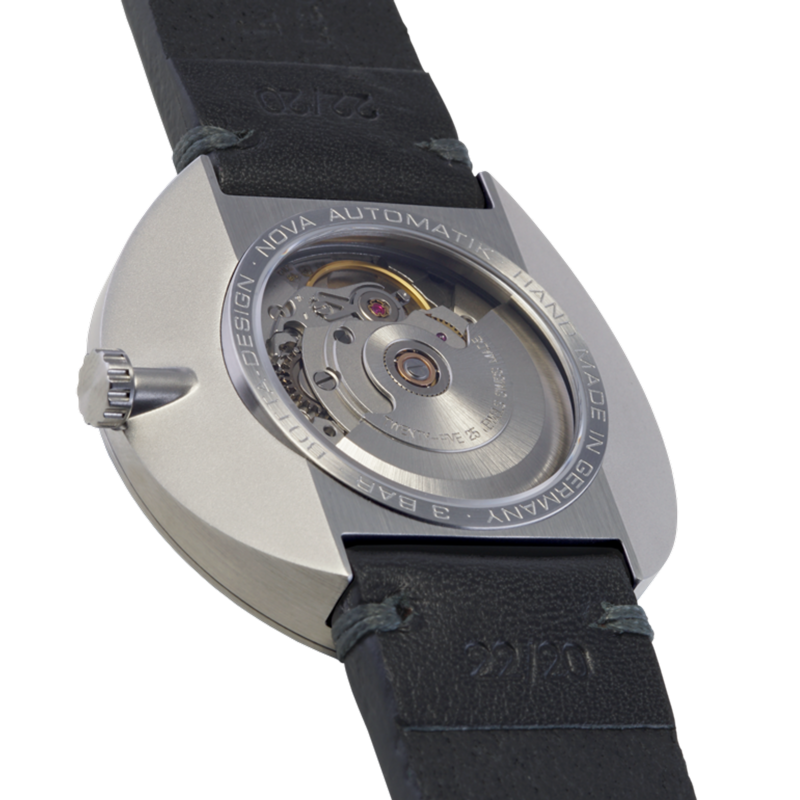 With a 44 mm stainless steel case, the NOVA+ ALPIN is one of the three automatic versions in the NOVA series. With its unconventional display principle, the NOVA+ ALPIN one-hand watch is certainly not the ideal watch for precision fanatics and those who like to keep track of every second. However, the NOVA+ ALPIN will thus suit you all the better if you are ready to embrace a more expansive attitude to time. 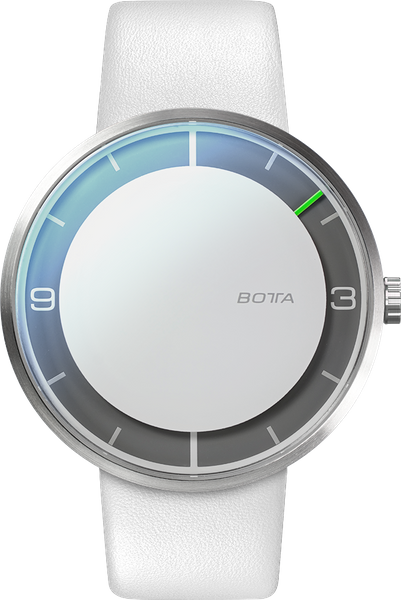 You will have to decide for yourself whether the NOVA+ ALPIN from Botta-Design with its minimalist display is in fact the perfect one-hand watch. What is certainly the case is that it makes a clear statement in favour of a more relaxed approach to time. Botta-Design has opted to use the ETA 2824.2 Swiss-made automatic movement, which is one of the most reliable mechanical movements available. In addition, the movement of every single NOVA+ ALPIN spends several days being carefully adjusted for maximum precision by an experienced watchmaker. Following manual assembly, every single NOVA+ ALPIN one-hand watch then undergoes two independent test routines and several accuracy checks. Only once it has completed all the tests and checks successfully will the NOVA+ ALPIN be shipped out to you. The NOVA PLUS ALPIN Automatic will be shipped 0. Until then, the model can be pre-ordered at a discount of € -690. Shipment will be on a first come, first served basis.